I will miss the paper WWD. I recently received an announcement from Women’s Wear Daily – they are giving up print. 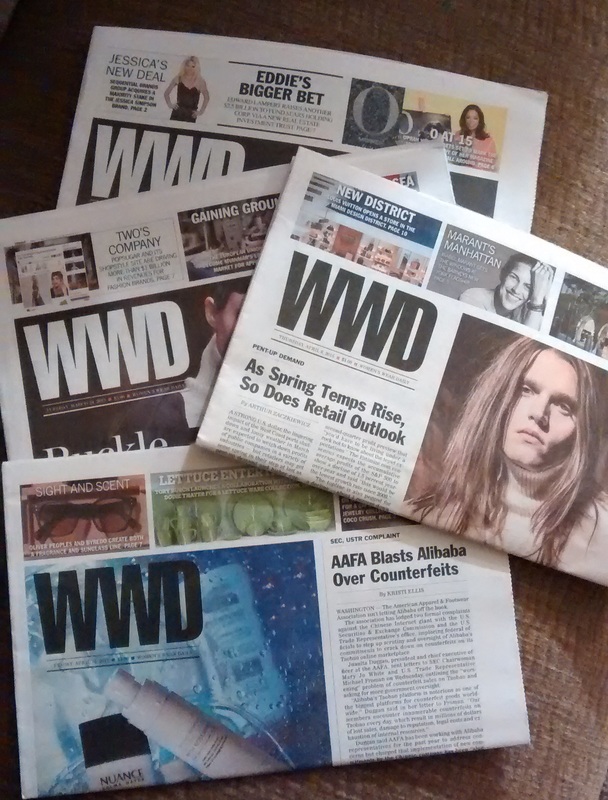 WWD, the insiders must-have fashion business paper since 1910, will post an electronic version of the paper. Here’s what they’re saying: Starting with the April 27th issue, we’ll produce a curated Daily Digital edition of WWD that will reflect the top stories of the day. This will be emailed to you in digital format before you wake up each business day. Additionally the publishers (Fairchild Publishing, LLC) will mail out a weekly glossy print, which they claim will provide more detailed analysis of top fashion stories. I have mixed feelings about this. Admittedly, it will be a relief not to have stacks of backed-up issues resting on my dining table, taunting me at every meal. But I will certainly miss my weekend routine of sitting down with a cup of coffee and diving in – searching for quotes, cutting clips, and following the swings of the fashion industry. I prefer paper to screen and I’m pretty sure I won’t read as closely this new e-version, particularly if it’s as visually busy as the WWD website. Plus, it does feel like the end of an era.